Now I really know what "network congestion" means. Switching from an AT&T iPhone to a Verizon iPhone is like finally being able to breathe clearly after years of battling allergies. People can hear you better, and you can hear them better. It's that simple. That's the key reason so many people have clung to Verizon while resisting the shiny allure of the iPhone. As we all suspected would be the case, the iPhone is a better phone on Verizon than it is on AT&T. It is not, however, a superior media-consumption device. As with any mobile device, I'd always recommend buying a handset because it does what you need it to today, not because of what's believed to be coming later. It's the nature of the industry that today's new handsets are superseded tomorrow; there's no global "right time" to buy a device. If, like many on the SlashGear team – and many thousands of other would-be users – the iPhone 4′s functionality caters to your needs, but the AT&T network doesn't, then the Verizon version addresses that. So far so good — voice calls are better, minor issues really are minor. It's an iPhone on Verizon's network. Ah, but it's an iPhone on Verizon's network — and that means there are certain considerations you're going to have to take into account when it comes to data. Let's put this as simply as we can: data rates on the Verizon iPhone 4 we tested were dramatically slower than those on its AT&T counterpart. How much slower? Well, even though network speeds fluctuate based on many factors, we didn't see the Verizon device peak much beyond 1.4 Mbps on downloads (and even that high was rare), and it barely hit 0.5 Mbps on upstream. On the other hand, the AT&T device regularly pulled down above 3 Mbps, and 1 Mbps or more going up. We'll admit that the Verizon speeds were more consistent, but the irrefutable fact is that AT&T's network is much, much faster, at least in our neck of the woods. Of course, how much that's going to affect you is based on a lot of factors, and in our day-to-day, there wasn't a noticeable sensation of the device being slower. That consistency in data rates actually may have helped in some situations — particularly when pulling down maps. We see our AT&T device stop and start quite a bit on major data pulls, whereas the Verizon phone seemed to latch onto a stream and not stop until the bits were uniformly situated on our phone. That said, there's no denying that YouTube videos and streaming content is going to appear more quickly on your AT&T handset. A winning outcome is a slam-dunk as far as I'm concerned, at least based on my six days of testing a Verizon iPhone in New York City and Northern New Jersey. Though not every call was crystal clear - this is a cellphone, after all - I haven't experienced any of the dropped calls, so far anyway, or other frustrating hiccups during my tests that have been driving some owners of the AT&T iPhone bonkers during the 3½ years that the carrier has had iPhone exclusivity in the U.S. This Verizon version of the iPhone 4 seems to have none of the same antenna issues. Try as I might, using the "death grip" and every other grip I can actually do, I can no longer reproduce the same attenuation problem that the previous iPhone 4 model had. I death grip the thing, and no bars drop. More importantly, calls don't drop and data doesn't stop. Again, Apple won't comment, but problem, apparently, solved. It was worth the wait. The iPhone 4 on Verizon Wireless delivers the reliable data and voice coverage AT&T has failed to provide, making this device a dependable partner for work and play. Everything we love about Apple's smart phone is enhanced because you don't have to wait to get stuff done or wonder if your call will drop. In cities such as New York you can shop for and download apps, surf the web, start streaming YouTube videos, and a lot more much faster. Some may prefer the larger screen and unique perks such as HDMI on the Droid X, but the iPhone 4 won't face real competition until 4G phones—such as the HTC Thunderbolt and dual-core Motorola Droid Bionic—start rolling out for Verizon. Others may want to hold out until the summer to see if Apple launches the iPhone 5 for Verizon at the same time as AT&T. Right now, though, the Verizon iPhone 4 is the best choice. When you add up the luxurious design, razor-sharp (if small) display, app selection, ease of use, FaceTime, and top-notch camera and camcorder, this smart phone stands alone. Even if Verizon's network is the best in America, its policies and prices are still among the worst. Consider, too, that if surveys are any indication, Verizon can expect an enormous stampede of new iPhone customers. Last time this happened - to AT&T - the weight of all those bandwidth-sucking iPhones swamped the network, causing interruptions that persist to this day. The same thing might happen to Verizon. Verizon swears that it's prepared for the onslaught. Then again, that's what AT&T said, too. Remember, too, that so far, Apple has released a new iPhone model every July. 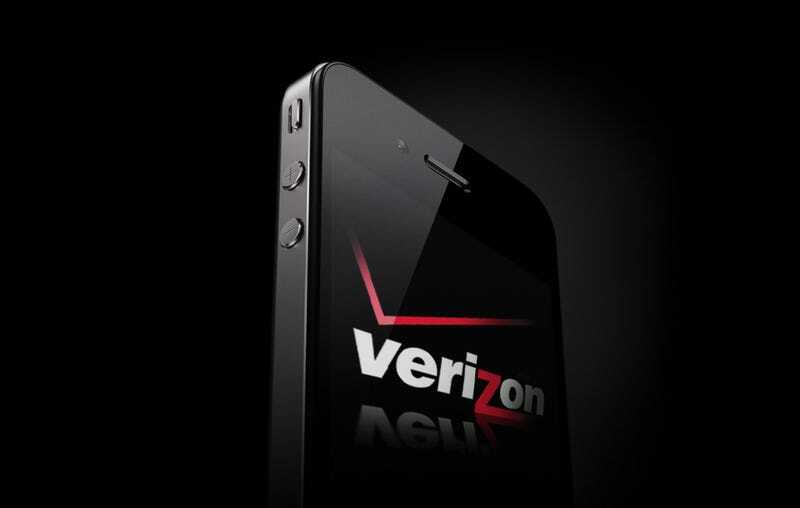 Apple won't say if there will be an iPhone 5 for Verizon this summer. ("Let's put it this way: We're not stupid," is all an Apple rep would say.) But if it does, and you buy an iPhone 4 now, you'll be stuck with an outdated phone in only five months. With the hardware and the software out of the way, what remains is perhaps the biggest issue of all: the fact that this iPhone uses Verizon's network, rather than AT&T's. AT&T has certainly been widely criticized for its service and reliability issues over the last three-and-a-half years that it's been the iPhone's only service provider in the U.S. But judging cellular carriers is a lot like real estate: it's all about location, location, location. There's no way for this review to tell you which carrier is better, because it will vary based on who you are and where you roam. A couple of our Macworld editors live in places with no AT&T signal but strong Verizon coverage; for them, moving to Verizon makes a lot of sense. Turns out I'm in the exact opposite situation: I get a fairly strong AT&T signal in my house, and data moves at fast 3G speeds. Meanwhile, I get one bar on Verizon, with no access to either 3G or even 2G data. The only way to truly judge which carrier is right for you is to talk to acquaintances who have experiences with either carrier and find out how the coverage is in the places you're most likely to use your phone. The Verizon phone offers one useful new feature called Personal Hotspot, which for an extra monthly fee allows you to share the iPhone's data connection via Wi-Fi with up to five other devices. It's simpler and more flexible than the so-called tethering function on AT&T iPhones, and I found it to work well with a variety of gadgets, including laptops and an iPad. When other products are sharing the connection, you'll see a message on the iPhone screen; when they are done using the phone to get online, the Personal Hotspot shuts down to conserve battery life. I think it's important to note that we are almost four years removed from the initial excitement of Apple's first phone, and there are reasons not to buy a Verizon iPhone. Nowadays there are many strong competitors on a variety of providers and from many different manufacturers. This iPhone isn't even on Verizon's new 4G LTE network, which makes it slower than some of the most exciting phones available today. But the unfortunate reality of these super-fast devices is that battery life is not so grand. Apple and Steve Jobs have always focused on performance in a variety of metrics, and if super-speeds have the potential to kill battery life-perhaps the most important factor in any mobile device-then it's unlikely we'll see a 4G iPhone any time soon. Considering the performance I found with the Verizon iPhone, I do not see this as a problem. CDMA's limitation only works one way: when you are on a call, you can't use data. But when you are using data, calls come through. If you decline the call, data continues, almost uninterrupted. When you're using the hotspot feature, if you accept a call, Wi-Fi clients receive no data for the duration of the call, but the Wi-Fi connection is not dropped. As soon as the call is ended, data resumes. I haven't run into a problem with this once in the week I've had the phone.